© Olivia and Bruce Cole. All rights reserved. 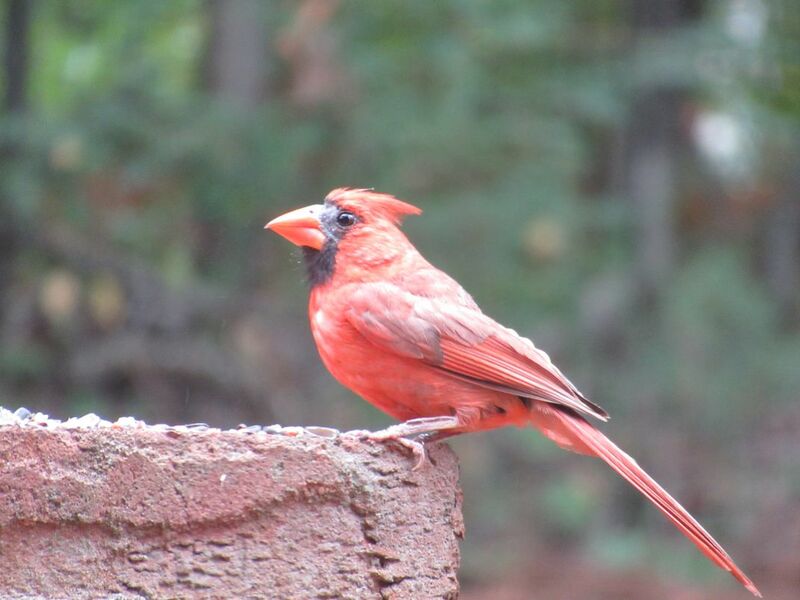 After eating seed off the brick column, the cardinal sits, resting and enjoying the day. © Olivia and Bruce Cole. Date Uploaded: Sept. 15, 2018, 11:20 p.m.